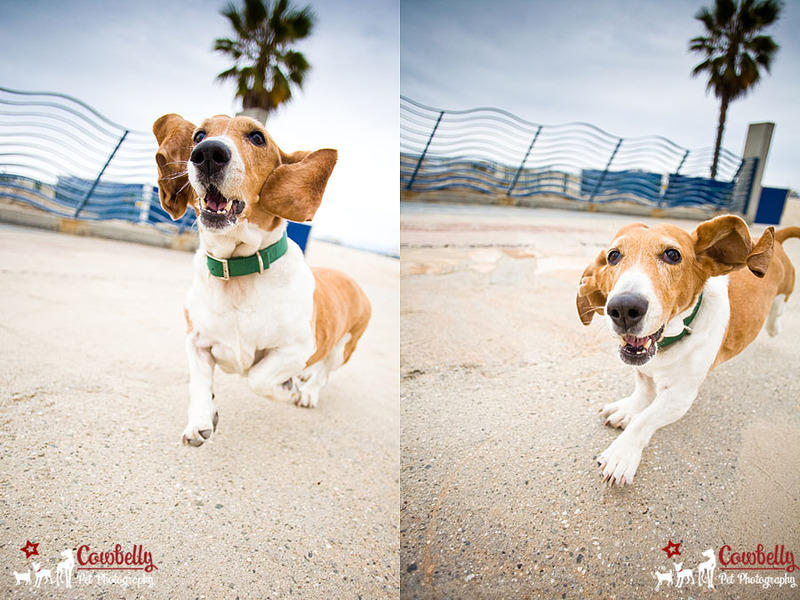 My other photo session when I was down in Santa Monica was Sophie the basset hound. 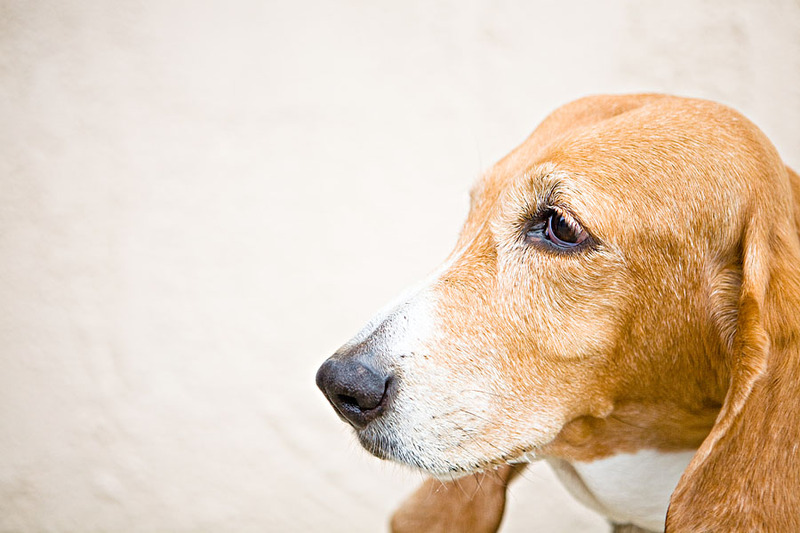 She was a delight to work with, and quite possibly the sweetest, gentlest basset I have ever worked with. I hope that her images really show her sweet, sensitive soul. She is a therapy dog, and helps those who need a little bit of extra support. I can see how she would be really really good at this. 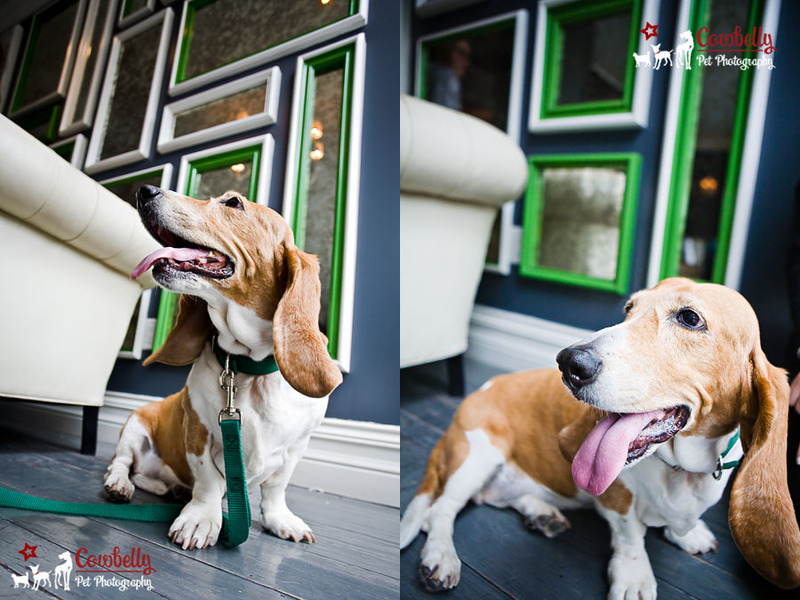 The Viceroy Hotel made the most gorgeous shooting location to start from, and I really hope to be able to photograph dogs there again! 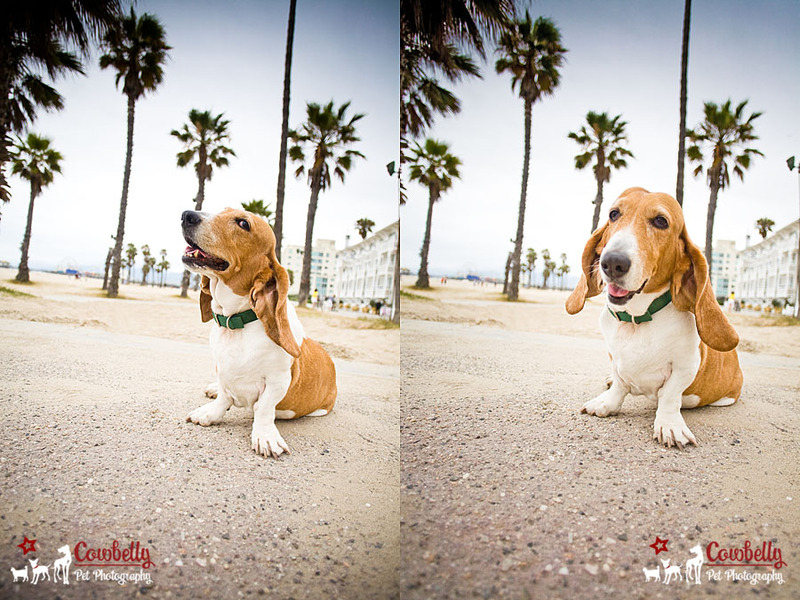 Are you interested in your own Santa Monica pet photography session? 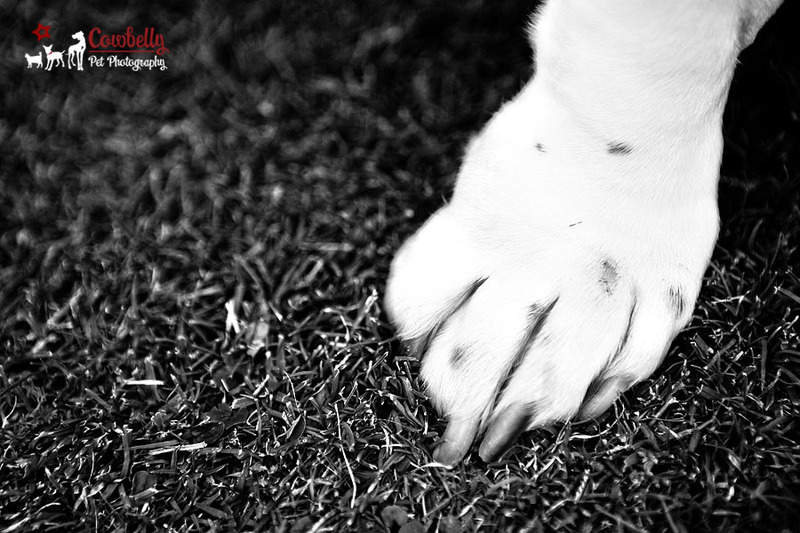 Drop me a line and we’ll book your session today! 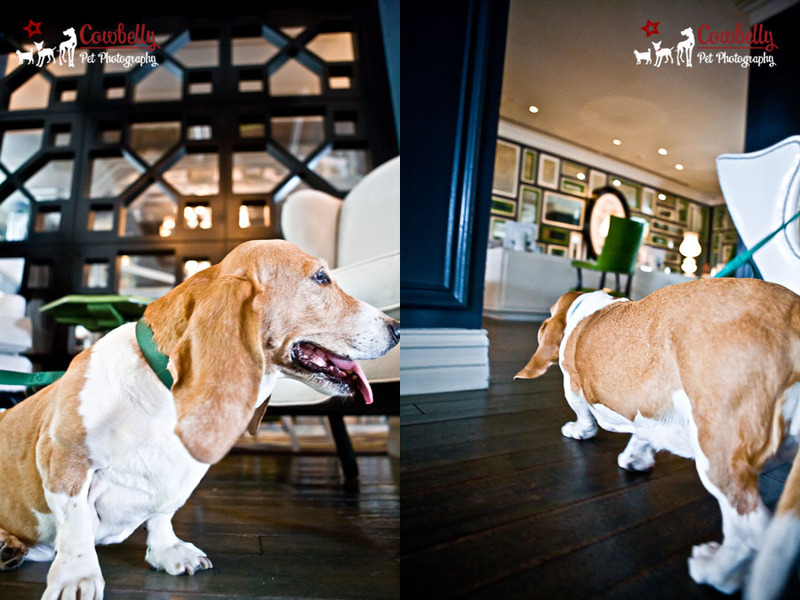 We started her shoot in the Viceroy Hotel lobby (the images seen here), then finished at the beach and park nearby. Although the lobby would have produced some cool shots, it was noisy and busy and just not good for doggies sadly. We were only there for a few minutes before we hit the outdoors, my favorite place to shoot anyway. It was a gloomy day but Sophie’s smile lit up the whole beach. I love the canopy of palm trees on the right below. 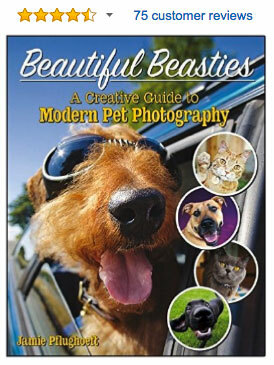 Here I was demonstrating how you can get shots of the owner and their pooch without them having to be cheesy and posed. I just said to Sophie’s mom “pretend we aren’t here and do what you would normally do with Sophie” and this is what she did. Love them. 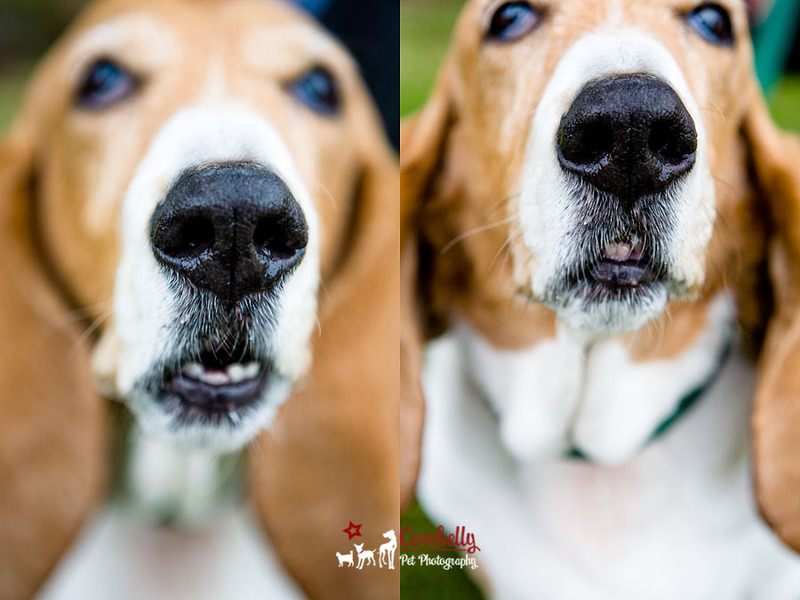 Ha ha ha ha, basset teeth!! At the tail end of our shoot I noticed the palm trees reflected in the cool wall at the front of the Viceroy Hotel. Reason #14 why I always try and keep my camera out of the bag until I am back in my car. Hope everyone is having a great week! I am trying to catch up on work and emails and getting ready for a super fun commercial job this Friday. It’s not a basset (lol) but it will still be a blast. I’ll keep y’all posted on that! Sooo cute, calm and, sweet. 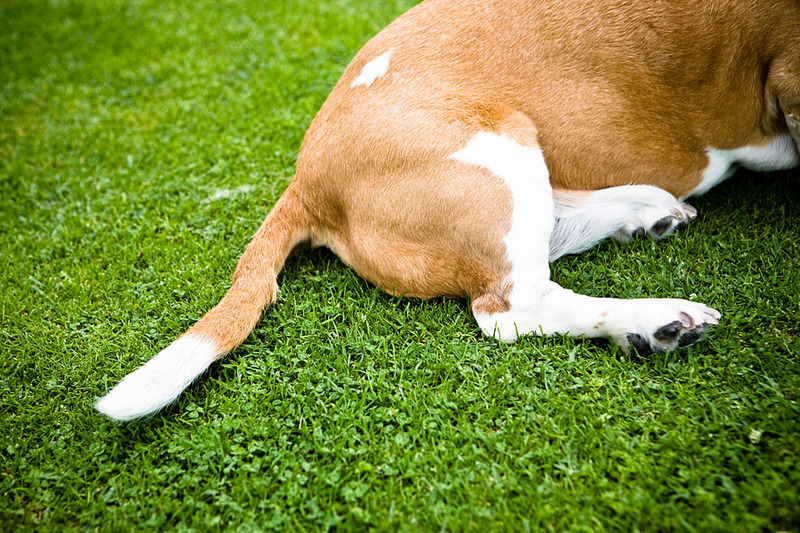 My Bassett is the same way. 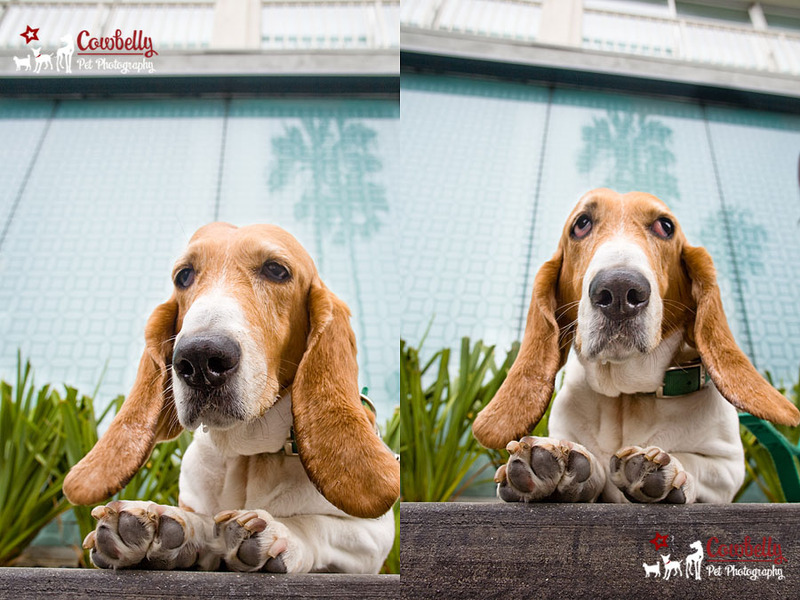 The floppy ear photos made me smile! Poor dog has to worry about biting it’s ears on accident. 😉 Great photos as usual! 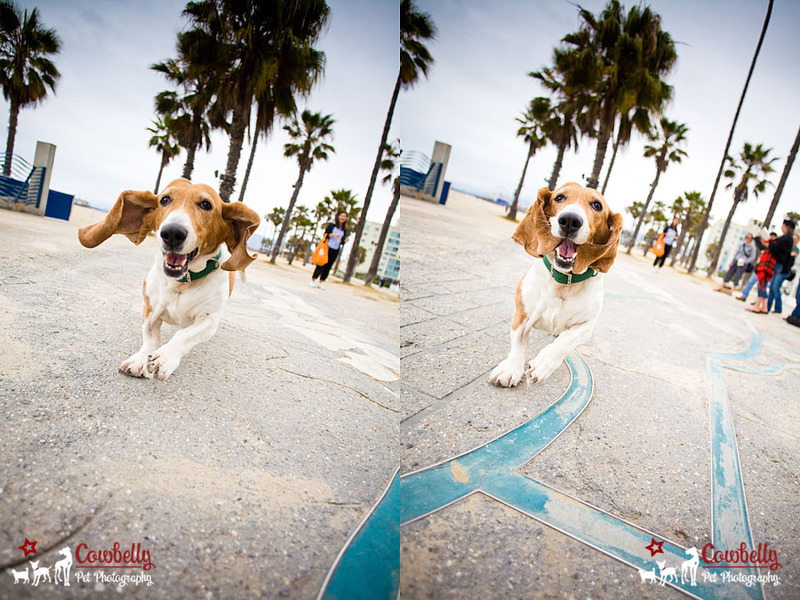 I’ve never seen a Basset run– and now it is on the top of my to do list! 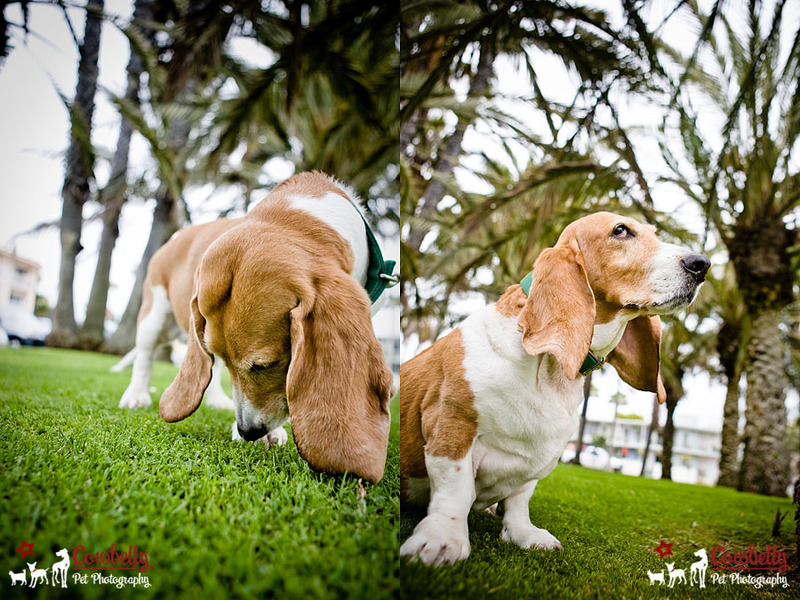 I can’t wait to have a basset session myself– you’ve done an outstanding job here! i can’t get enough of those ears!!! hee hee… what a fun time! I love the “teefs” shots! The flopping ears are too cute! I also love the last set of photos with her big paws and the beautiful glass background. Thank you for such a wonderful opportunity Jamie!! i seriously love the running shots!! so good! what a sweetheart! you’re right — the ear flying/running ones ROCK. Oh wow she totally exudes sweetness! I love the shots with her mom, too. 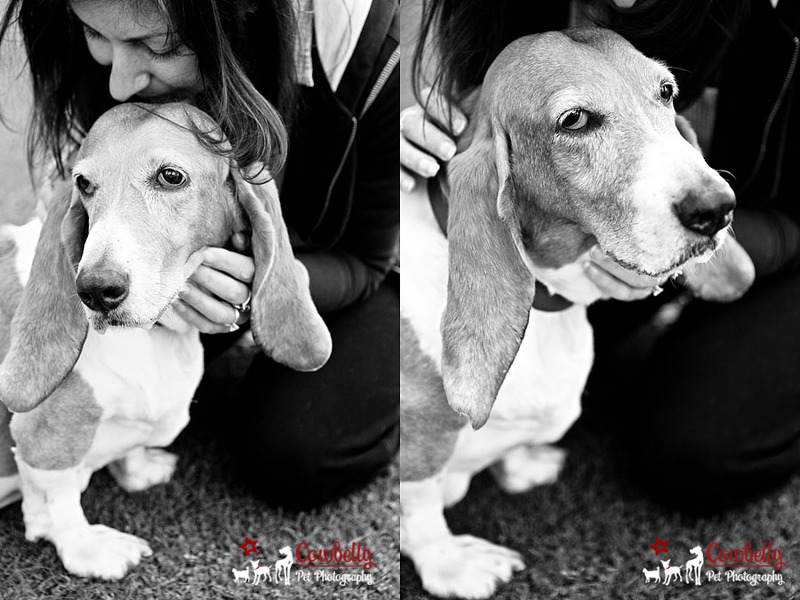 Basset love! Her face does have that nice calming look 🙂 Gotta love those flying ears too! bahaha ears flappin in the wind like flags! These are truly great! Love those running shots! It’s too bad the lobby didn’t work out for very long, looks like a very cool background.